A Constant Pressure System operates with a home’s well pump and a variable frequency drive controller to automatically monitor household water demand. 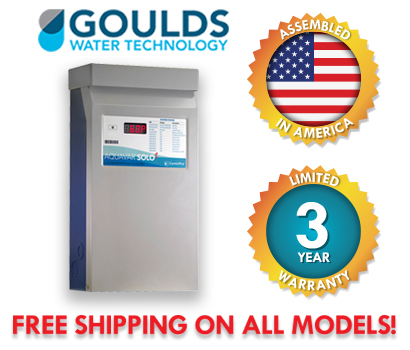 The variable frequency drive speeds up or slows down the pump depending on your household water requirement. The end result is consistent water pressure when multiple water outlets are being used at the same time. The Aquavar SOLO 2 provides consistent water pressure with all the tried-and-true features of the SOLO plus innovative upgrades.